Media owners rarely think of creating a mobile app for their periodicals (unless, of course, we are talking about large media networks). This is the case for a variety of reasons, and one worth noting is that the mobile version of the website usually satisfies basic needs, and the budgets available for media companies are often relatively small. However, informational media and news websites are the sites most visited by smartphone users in their spare time. Therefore, investing in mobile app development will not only benefit your readers, but also create an additional channel to profit from advertising. 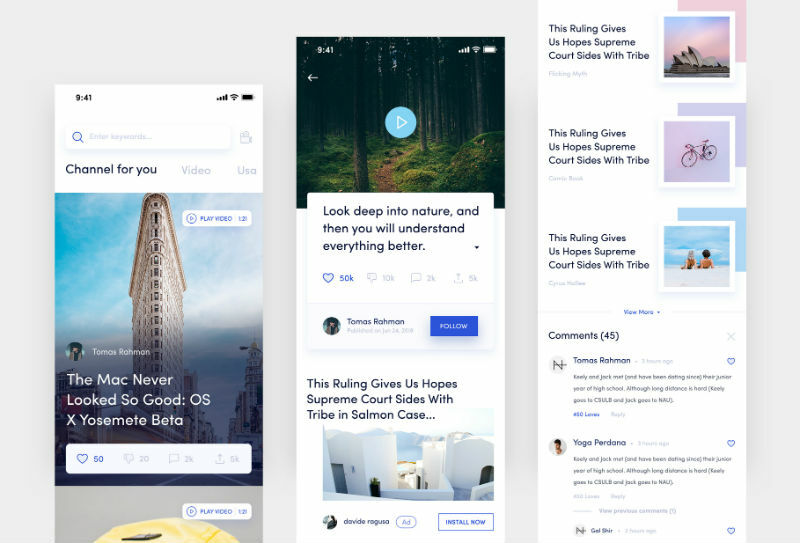 Let us take a closer look at the arguments in favor of building a mobile app, and then we will provide some tips on how to design a newspaper and magazine app to get a really good product. Audience expansion and retention. The idea is both to increase coverage due to the mobile audience and to maintain interest in owned media channels. In addition, it would be a good idea to integrate some exclusive functionality in the app. An additional source of income. You can monetize the app using media and native advertising, subscriptions, special projects, sponsorship, and other methods. Improved user experience. Native apps for iOS/Android run faster than websites and allow developers to use smartphone functionality to expand their capabilities (for example, geolocation). Promotion of competitiveness. 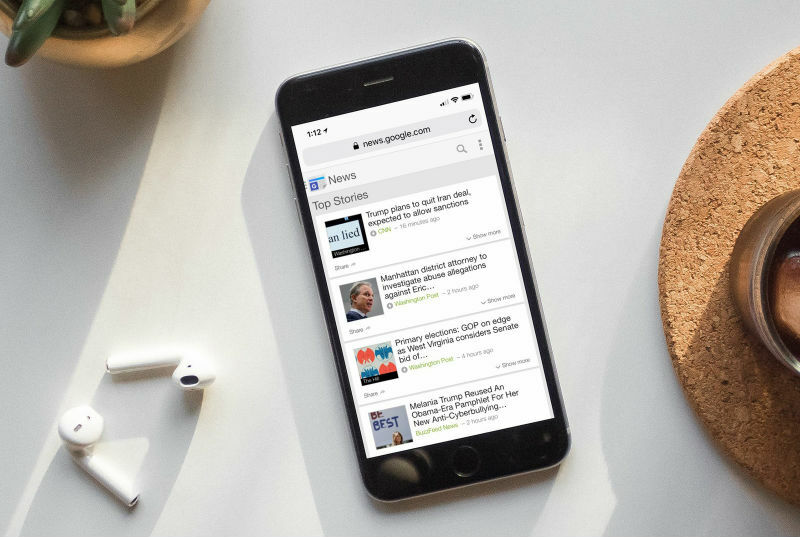 If there are several strong competing media outlets in the same niche, the one that ensures its presence in the mobile market will gain an advantage over the competition. Advanced analytics. Connecting analytical services, you can gain the advantage of getting valuable data on the readers who use your mobile app. This includes geographical and demographic data, interests, behavior, etc. News App Development: What Features Should Be Included? Let us have a look at the main features that are worth implementing in a mobile app of this type. You can always start with an MVP and expand its functionality gradually as your audience grows. Authorization and user profile. The content should be available for users without authorization, but registration allows them to get additional features using a personal account: viewing history, commenting, adding content to favorites, etc. Internal search. This feature allows users to find content by keywords, and the app owner can track the content that readers are looking for. In addition, you can add a publication filter by date. Integration with social networks. This is an important feature ensuring great potential for content distribution among the target audience. Comments. Readers should have the possibility to express their opinions on the events described in articles. This feature positively affects engagement level. Push notifications. This remarkable marketing tool allows you to notify users about new publications, special offers, etc. For more details on how to use this tool, read our dedicated blog article. Offline viewing. The offline mode allows users to download interesting articles on their device to read them later in places with no Internet access (for example, while traveling out of town). Favorites. Users like having a function that allows them to save their favorite articles in a separate tab in their personal accounts to have quick access to them. Sending news. This functionality is interesting especially to local media. It is important for them to know about as many newsworthy events as possible, and at the same time, they have limited capability to expand their staff. Add a special button to your app, allowing users to take a picture or a short video on the scene and instantly send them to your editorial office. People often send news, and as a rule, those who tried doing so once and saw that it really worked will eventually do so again in the future. Smart feed. If your media features different topics and presents a variety of article categories, you can provide users with the opportunity to exclude articles that are uninteresting to them. An app for a specific website. In this case, the information source owner creates another channel for interaction with their audience. It allows them to increase coverage and loyalty, as well as expand their monetization opportunities. A news aggregator. This app collects content from other resources on a local or global level. Its owners do not have to create their own content. Their objective is to connect publishers to interested users. Advertising in the app. You can connect affiliate networks (for example, Google AdMob) or manage media banners independently. In addition, native advertising is currently gaining popularity, and is rather efficient. Paid subscription. This is a popular monetization model actively used by large media. Part of the content is provided to readers free of charge, but to access exclusive materials, it is necessary to buy a monthly subscription. Event promotion. If your media is focused on the local market, it is a good way to cooperate with local businesses. Your audience will be especially relevant for such companies. The cost of mobile app development depends on a number of factors. To consider this issue in more detail, it is best to read a separate article we already have in our blog, “How Much Does It Cost to Develop a Mobile App in 2019”. The article goes into a lot of detail about the factors that go into app development cost, and you’ll be much more well informed after reading. If you just want approximate figures, it will cost from $8,000 to $12,000 to develop a native Android or iOS app with a simple and neat design, simple navigation and basic functionality. A more complex solution including almost all the features listed in this article will require $20,000 to $35,000. When cross-platform technologies are used, the product cost will decrease by about 20%, sometimes even more. Note that this is a rough estimate, allowing you to get a general idea of the development costs. Specify the requirements clearly: workout the technical requirements thoughtfully, think critically of the functionality you really need. Take into account features that the users who install your app will potentially want. Connect mobile analytics to be able to analyze audience characteristics. If you make your app available on the App Store and Play Store, this does not necessarily mean that everyone will see it right away, so it would be wise to take care of ASO. Like any other new product, your app will need advertising, and you should think of future product marketing measures as early as at the initial stage of development. If you are looking for partners who can help you create a high-quality technical solution, contact us, and the Lvivity team will assist you in creating your project in the best way possible. Functional and Non-Functional Requirements: What’s the Difference?